Home » Is A Porsche 904 For You? Porsche has a reputation around the globe for producing a great variety of sporty cars. There really is something for everyone and one of the all time favorites is the 904. 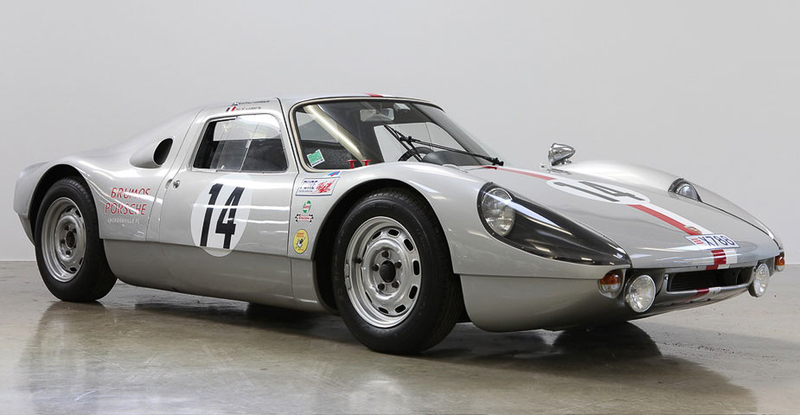 Do you think the Porsche 904 might be for you? The 904 and 904 GTS began back in 1964 and 1965 with the 904 being the street car and the GTS the race car. You might be wondering why add a race car model to the line? Well the 904 GTS had a purpose from the get go. It was actually designed to compete in the FIA-GT international racing events. Where as the street version came about to meet factory quotas for street models so was more the result of a technicality than a desire for a street market. In 1964 one hundred 904’s went to market all of which were very aggressively tuned to outperform almost anything else on the market. They featured the four cam, flat four cylinder which was commonly used in racing cars like the 356 Carrera or 550 Spyder. Twenty of the 1965 models had a variation of the flat six cylinder engine found in the 911 car. And a few also had a flat eight. Surprisingly the race prepped cars weighed in at only 1443 pounds and they could easily go from 0 to 60 mph in six seconds. They had a top speed of 160 mph which is pretty impressive! In 1964 the 904 GTS easily won the Targa Flori race which is held annually in Italy. It’s really not surprising that this powerhouse won hands down. Both the 904 and the 904 GTS have fiberglass bodies that were bonded to a steel chassis with a mid mount engine. The bonding process actually created a great deal of problems because corrosion occurred underneath the fiberglass and was not easy to spot. In fact it was seldom caught before much damage had occurred. Another problem was how the bodies were actually made. Sprayed chopped fiberglass was sprayed into the mold which meant that there was no consistency between cars for the thickness. Throughout the years Porsche continued to hold their share of the market with this design. As the 904 evolved parts remained easily available for both the street and race track models. Today the 904 has become known as the Carrera GTS and it remains one of the best Porsches ever manufactured. This fine piece of machinery opened up this years race track and will eventually be the replacement car for the current 917. It also continues to hold a stronghold in the street version and this twin cam engine is likely to be around for quite some time. There is no question that Porsche has a fine reputation in the car industry and has had for as long as one can remember. Whether we are talking about the 911, or the 904 from an era long gone to the up and coming Carrera GTS, if you want to stand out from the rest buy Porsche. So is the Porsche 904 for you?